Is really quite easy, sorry that I haven't posted this earlier. The factory tachometer triggers off the negative side of the coil, very typical of 80's technology. Most aftermarket tach's trigger from a 0-12V square wave signal which is different than the negative side of the coil because the negative side of the coil has huge voltage spikes from the transistor turning the coil OFF (electrons have momentum). 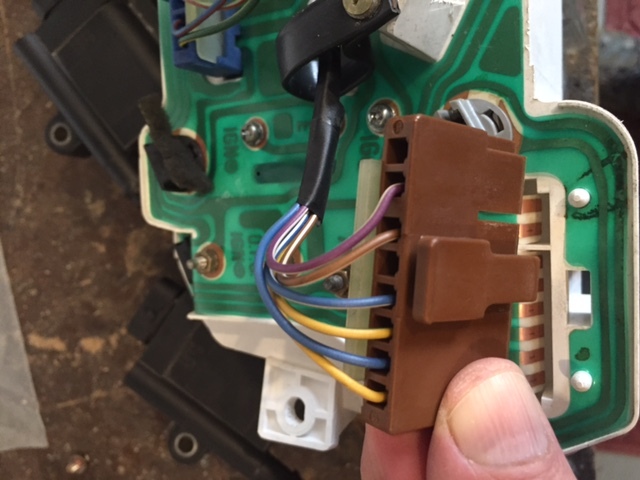 As it turns out Mitsubishi just put a big resistor in line with the tach feed to keep those big voltage spikes in check and it is that little gold box connected to the negative side of the factory coil. Without the gold box the big voltage spikes would eventually kill the tach circuit but if you leave the gold box in place and try to run the factory tach from, say, an MSD 6 series CDI box it won't work (very well, the factory tach seems to work to about 2500-3000 rpm). BUT, if you just leave the little gold box out and run the MSD tach output to the factory tach all will be well. So those of you that have switched or are thinking of switching to distributorless systems (and you all should) are asking "how can I get the factory tach working?". As I mentioned above, the MSD and other CDI boxes provide a tach out that is 0-12V square wave, and as it turns out so do all aftermarket ECU's. 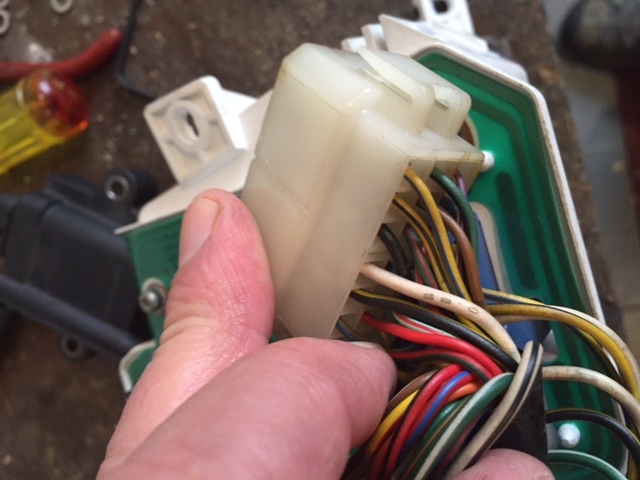 All you need to do is connect the "tacho out" as it's typically called to the factory tach without the gold box resistor in line. Those that have purchased one of my plug and play megasquirt systems can do this fairly easily using the factory wiring. First, you need to set or determine which output from the megasquirt is set up for tacho out, I can say the latest versions I'm using have a dedicated tacho out and I've been installing the wiring as a default to make it easier for the user. I also do this with boost control, idle, flex fuel and an generic output as well but that's not the topic of this post, if you buy my systems you have way more power than you think. Tacho out is a firmware setting you'll find in Tuner Studio and it can be set to various output pins, the picture below shows it on my latest board version for the plug and play, it is pin 29. The green wire separate from the rest in the picture. If you don't have a system with this wire or have an earlier system you just have to solder it in, or of course send it to me and I'd be happy to take care of it for you. So that's the ECU end, then we connect it to the proper pin on the old ECU connector to get us up behind the dash which is ECI pin 59. ECI 59 ran the boost gauge on the dash, now defunct for a plug and play system. It wasn't accurate above 7 psi anyway. 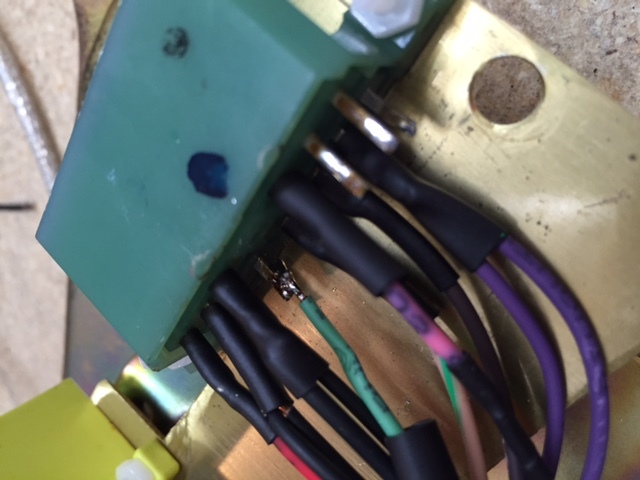 So we solder the other end of the green wire to ECI 59 as shown below. And we're done inside the old ECU box. Next we need to pull the instrument cluster to get at the wiring where we can re-direct the signal to the tach. 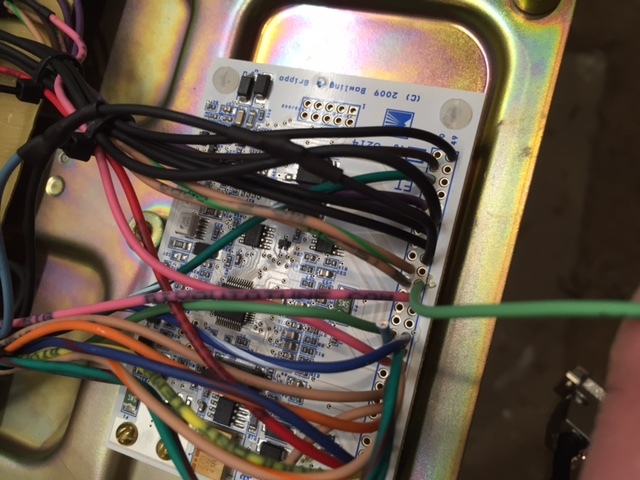 The actual factory wire running from the ECU to the instrument cluster is yellow with a green stripe, at least up to the last cluster connector. When you're pulling out the cluster we're looking at the right hand big connector on the actual cluster (not the hazard/fog switches). In this picture is the middle row of pins all the way to the left. Which of course turns color on the other side and is now a red wire in the picture below. This solid red wire runs to a blue connector just North of where we'd like it to go. Which is to the now blue wire in this connector just below it. So, clip the red wire out leaving maybe an inch or so running into the blue connector, move it down to the brown connector shown below and you should be able to judge where to cut the blue wire to splice them together. Blue wire being the second one from the end. 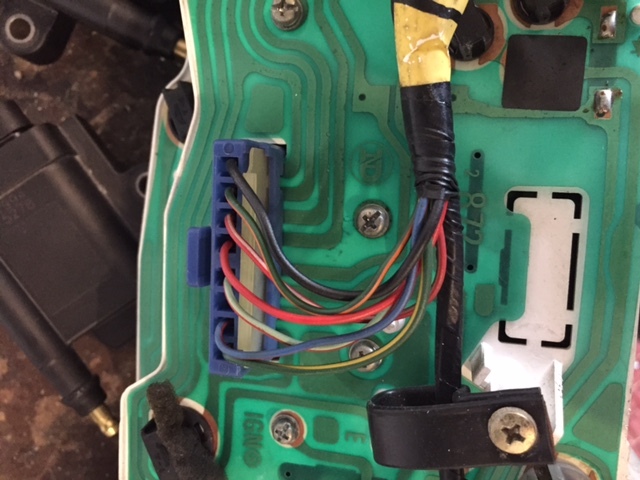 So, to repeat, red wire formerly running the boost gauge gets cut and the blue wire running into the brown connector gets cut and you solder red to blue (remaining in the connector) and you're done! Re-assemble and enjoy your factory tach whether you're running waste spark, COP or EDIS coils. Edited by scott87star, 24 January 2019 - 11:47 AM. So I will need an aftermarket boost gauge for my COP/MS2 kit? The factory one is electronic, run by the old ECU and won't work anymore so yes, if you want a boost gauge I'd recommend getting a real one. You could choose not to run a gauge at all, the ECU is capable of reporting boost via datalogs OR in real time using bluetooth and a small tablet or Android phone. You can go to www.efianalytics.com and look for Shadow Dash. Yeah, it turns out the inductive spikes were only required to get the signal past the little gold box (power resistor). Take it out and run a standard 0-12V square wave. On it. One less box to put voltage spikes in the system! I wish I would have done some testing instead of just setting it up with the inductor. So I could run it directly to the blue wire? Using a aem and no original wiring left really. I wouldn't trust wire color anymore, living in Seattle yours is covered with mold anyway. 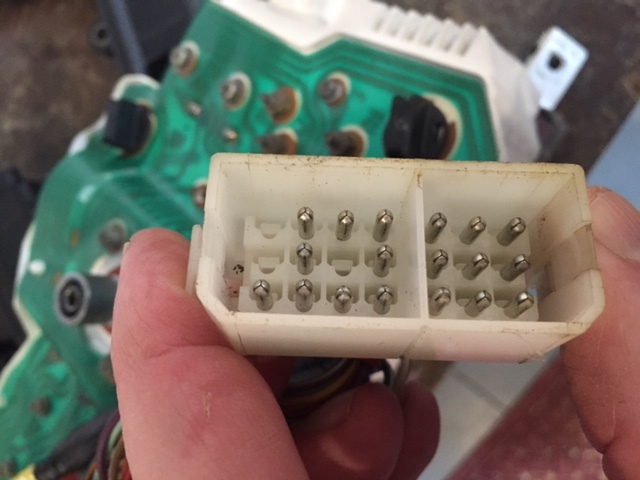 If you can find that white single wire connector downstream of the little gold box you're good.